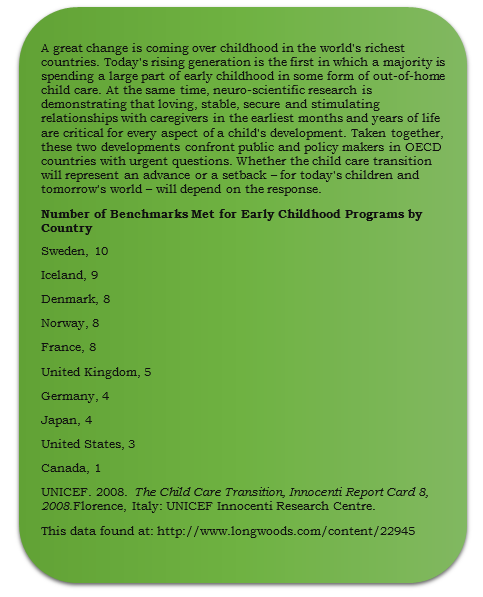 How do we rate for Early Childhood Education? As we begin to improve population-level outcomes for children, youth & families we are also gathering exisiting data to establish a baseline. 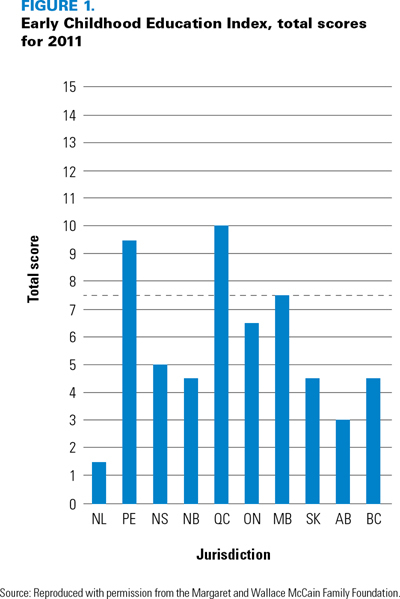 How Do We Rate for quality Early Childhood Education? According to data pulled together at Longwoods.com, we lagging as a nation & as a province. Kerry McCuaig in the same article explains that the Early Childhood Education Index is a 15-point scale designed to assess governance, funding and accountability of early childhood programming by province.